A cooperation agreement has been signed on 26 June 2015 between the Brazilian organizations supporting a cluster in Campinas. a letter of intent between the University, the Techno Park, the Town Hall in Campinas and Agropolis International, in a view to set up cooperation and exchange programmes in the areas of research, training and technological innovations (in May 2014). 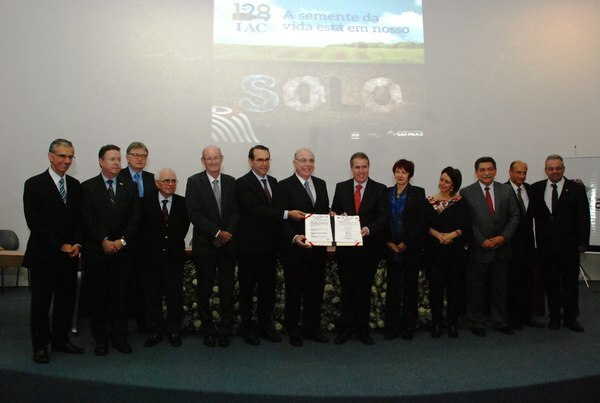 Insituto Agrônomico de Campinas- IAC, celebrating its 128th anniversary. In the presence of representatives of Embrapa (Empresa Brasileira de Pesquisa Agropecuaria) and the French Consulate in São Paulo. This Cooperation agreement will be implemented through Projects of Technical Cooperation (PCT) in the areas of agriculture, food, biotechnologies, biodiversity, biofuels, sustainable development and environment, aiming at enhancing research, development and technological innovation. Facilitating access to new markets for companies and promoting the creation of start-up and spin-off companies. These actions will be carried out by a steering board composed of universities, clusters, research institutions and companies related to specific scientific and society issues.